Rising teenage star Nathan Langley, of Worksop, is now ranked as high as eighth in the UK after a tremendous performance in the decathlon at a national competition. 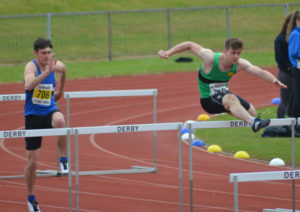 Nathan Langley romping to victory in the 110m hurdles in a personal-best time during the national competition at Bedford. Having made a successful start to his first season at U20 level at the county championships, Langley travelled to Bedford for the competituion, run by England Athletics. Comprising ten events over two days, it was a gruelling challenge for the 17-year-old. But he finished a highly creditable seventh. The first event, the 100m, is not one of his favourites, but he knocked three-hundredths of a second off his previous personal best (PB). Below-par efforts in both the long jump and the high jump threatened to derail his opening day, but he recovered to post a decent result in the shot putt and then won his heat in the 400m with a season’s best time of 51.76 seconds. 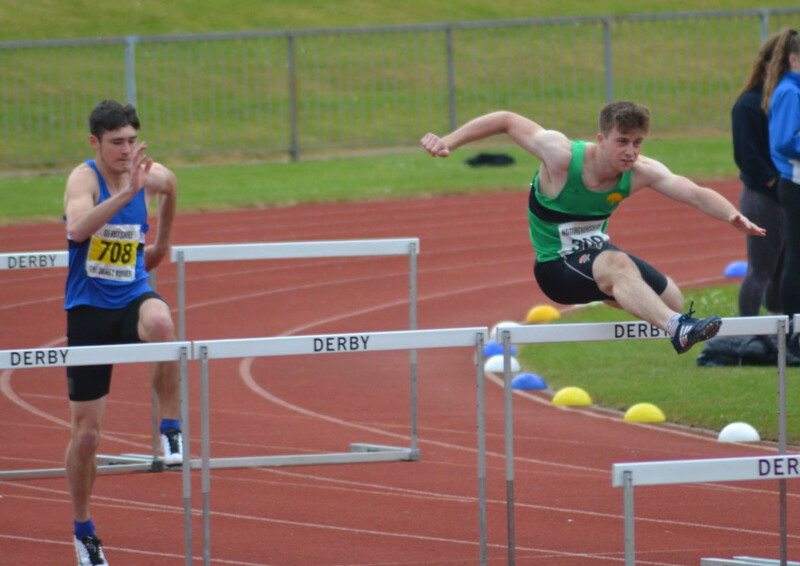 Returning for day two with renewed enthusiasm, Langley romped to victory in his 110m hurdles heat with another PB and the third fastest run of the day. Another PB followed, this time in the discus when he threw 33.97 metres, and the pole vault was swiftly followed by the javelin, in which he secured another best. In the 1500m, Langley led for most of the way before finishing second in a season’s best time.